We are excited to introduce the Zami Smart Stool! Come visit us on Indiegogo. Zami Smart Stool is the result of years of research on ergonomics and is designed to improve posture and promote active sitting. Made from the highest quality European sourced materials, this patented, double-convex form is the first sensor-enabled stool that gives you real-time feedback on your posture. 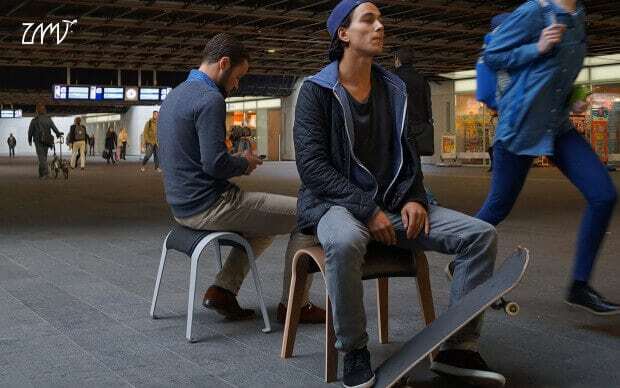 The stool communicates to the Zami mobile app and collects data providing intelligent feedback and insight into your posture and daily sitting habits. Unlike most ergonomic solutions, Zami provides a sense of luxury and simplicity and looks great in any home or work interior.